The non-biting marine midge Clunio marinus lives along Europe's tide-shapen coasts, where precise timing is of existential importance: Reproduction and oviposition must occur when the tide is at its lowest. The tides, and therefore also low tide, are influenced by both the sun and the moon. To foresee the ideal time of reproduction, Clunio has two internal clocks: a circadian (daily) clock, comparable to a watch, set by the sun, and a circalunar (monthly) clock, comparable to a calendar, set by the moon. Due to geographical causes, the timing of low tides differs between geographical locations. Therefore, the midges have to "set" their clocks in accordance with their position. 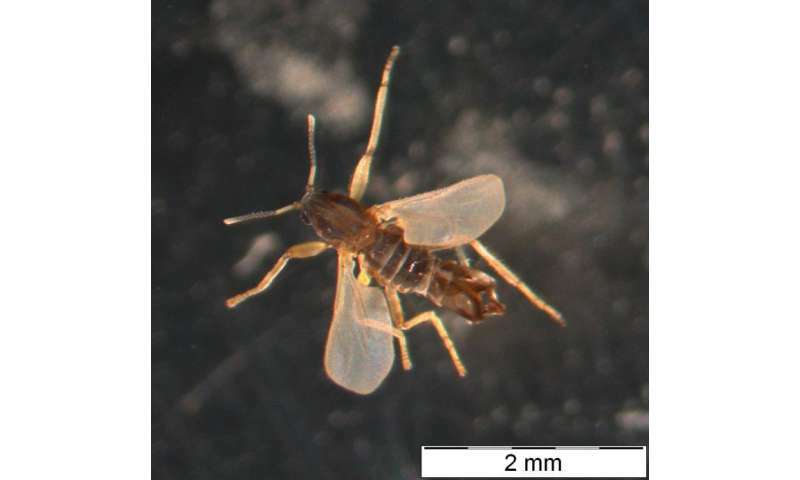 Scientists had already discovered in the 1960s that midges living along the coast of the Atlantic sea have genetically adapted their circadian clocks to the local occurrence of tides. Kristin Tessmar-Raible and her team then investigated how such adaptations may occur on a molecular level. The work was spear-headed by the post-doc Tobias Kaiser, who had previously already uncovered that similar adaptations are also true for circalunar clocks. Tobias sequenced and compared different Clunio genomes in a tight collaboration with Arndt von Haeseler's group. This allowed the researchers to unravel the genomic sequences that likely underlie the circadian and circalunar timing differences. 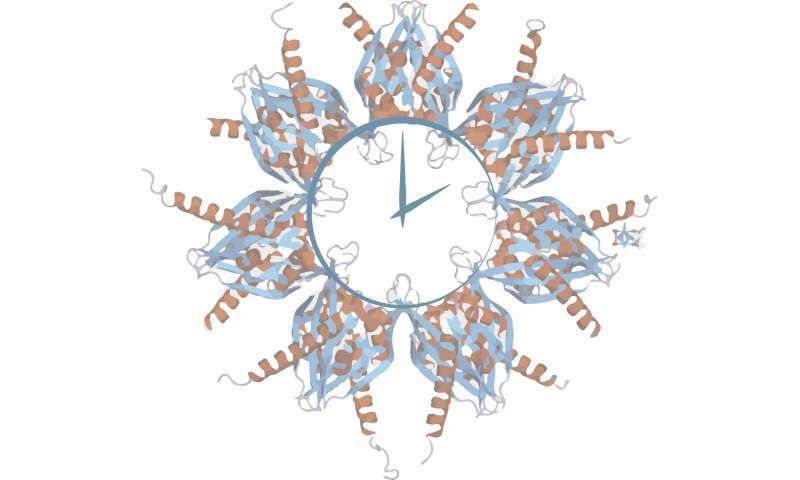 Further molecular work involving VBC PhD student Birgit Poehn and collaborations with Thomas Hummel's (Faculty of Life Sciences, University of Vienna) and Florian Heyd's groups (FU Berlin, Germany) then provided a first mechanistic model, how such molecular adaptations can lead to differential circadian timing. The researcher's results point towards a specific protein, called Calcium/Calmodlin-dependent kinase II (CaMKII), being the main effector behind the adaptation of the circadian clock to the geographical environment. "Different variants of CaMKII appear to let the circadian clock run either faster or slower," explains Tessmar-Raible. "And it is of course an interesting aspect that this protein, which hasn't changed much during the course of evolution, can also be found in humans. The question therefore emerges, if CaMKII can also play a role in human chronotypes." Remarkably, the protein CAMKII is one of the most abundant proteins in the human brain and has already been linked to neuropsychiatric disorders, which often appear in conjunction with malfunctions of the circadian clock. "Our study raises many intriguing questions - apart from the modulation of the circadian clock, it also suggests molecular candidates for the modulation of the 'internal calendar', the lunar clock. And in understanding these locks we are still at the very beginning," comments Tobias Kaiser. He will pursue this question with his group at the Max-Planck-Institute for Evolutionary Biology in Plön.